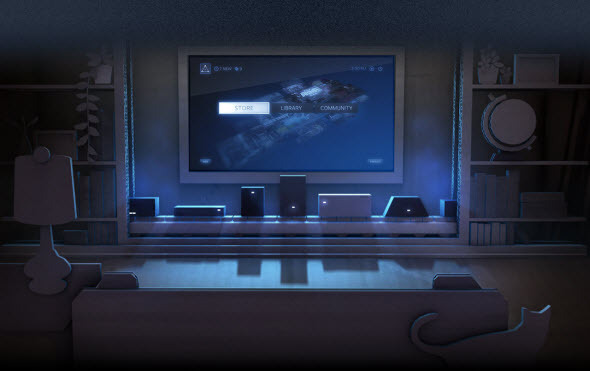 Valve is planning to conquer your living room with the multiple brand-new SteamOS-based gaming devices - Steam Machines. Yesterday the developers announced that this entertainment hardware is going to reach the market already next year. Join the Steam Universe community. Accept the beta test agreement. Create the open profile in Steam community. Play any game using the controller in Big Picture mode. You have about a month until the 25th of October, when Valve stops accepting the requests. Then the developers will randomly choose the gamers, who will get the beta version of Steam Machine. And we would like to remind you that earlier this week Valve announced SteamOS - the Linux-based operating system created especially for gamers. Using it, you will be able to get more from your PC games, share them with friends as well as listen to the musiс and watch videos. The first SteamOS-based devices are coming in 2014.